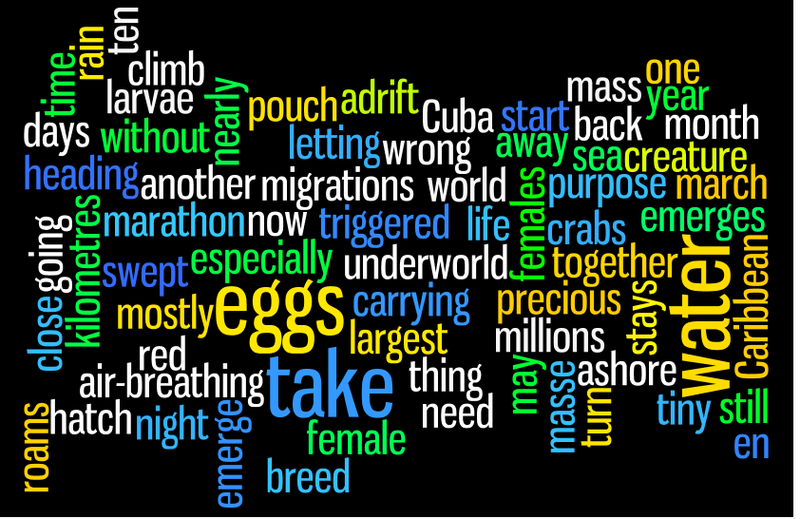 In our third post this month, eggs get another mention, a word cloud makes another appearance, and there’s a focus on words with multiple meanings. This time we use footage from the BBC documentary series Wild Caribbean. In the clip we see a cast of crabs (or a consortium of crabs, according to some sources) travel from land to sea to lay their eggs. And this week there’s no boiling, scrambling, poaching, frying or chocolate eggs to make starving students faint with hunger during classes at lunch or dinner time.